It&apos;s almost summer, which means that Bloomington is busting with tons of fun things to do outside. 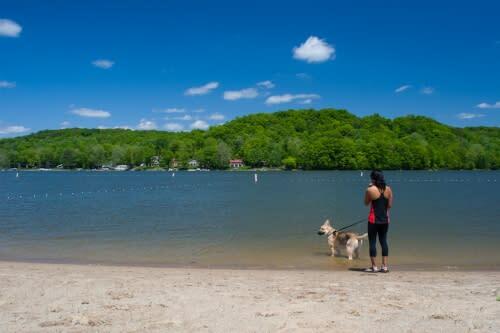 From lounging at the pool to hiking in the woods, there are probably a hundred places to get outside and enjoy the warm temperatures and natural beauty of the area. Our staff is pretty active so we&apos;ve rounded up our favorites to help you plan your outdoor adventures. This is a great spot to go camping especially if you have some puppy dogs traveling with you. It&apos;s also free to camp (score), and you don&apos;t need a reservation. Keep in mind there are only a few car camping spots in the forest so get set up as early as you can. If you don&apos;t snag one of these spots or really want to get off the beaten path, you can hike in to one of the established campsites and set up. Enjoy the solitude and beautiful vistas and don&apos;t forget to leave no trace. This spot is somewhat more secluded beach for swimming. 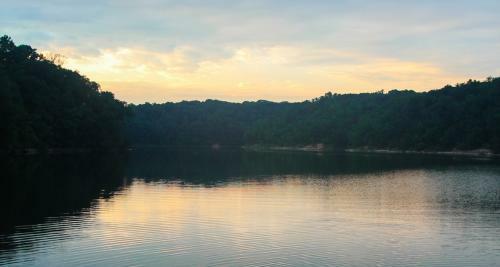 Lake Lemon is also one of Indiana&apos;s most popular and productive fishing lakes. The most abundant species of fish include largemouth bass, bluegill, crappie, channel and flat head catfish. Plus you can go over to the nearby Port Hole Inn for tasty pub food like fried catfish and burgers. 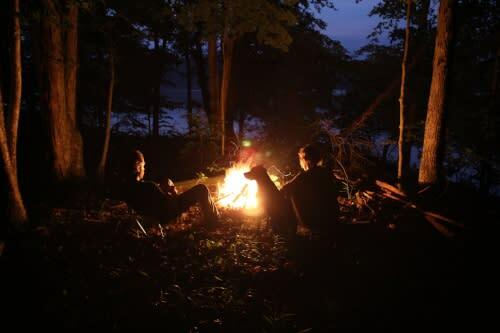 Extend your stay and spend the night at one of the cabins located near Lake Lemon. 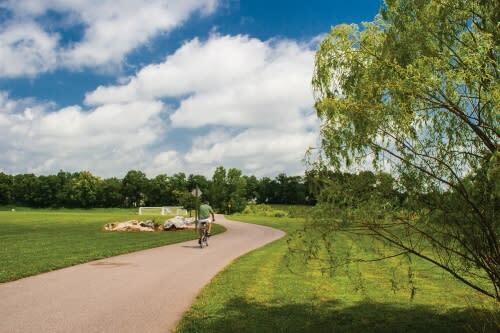 If you&apos;re looking for a place to be active outdoors in summer, the Bloomington Rail Trail is a favorite for walking, running, and biking. It&apos;s completely tree-lined, so it&apos;s always cool and shaded, and never overly busy. It connects to the B-Line, so it&apos;s fun to continue your bike ride downtown for breakfast! If you&apos;re visiting and want to cruise around with the locals, check out Pedego Electric Bikes. They offer standard cruisers and easy to use electric bikes that will have you zipping around town in no time. 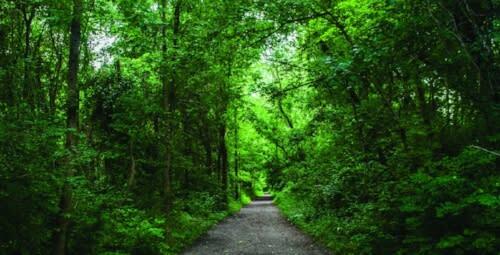 Learn about all of Blomington&apos;s urban trails here. 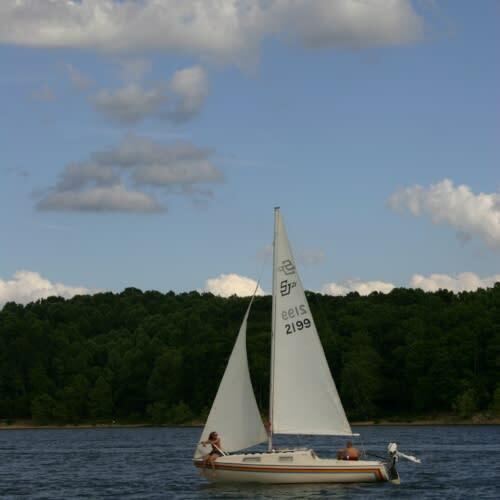 The cut-outs at Moore&apos;s Creek State Recreation Area is a unique spot at Monroe Lake.The local sailing association is right there so you can check out all the sailboats coming and going. It&apos;s a great place to have a picnic, get in the water, or just catch some sun. There are plenty of parking spots and restrooms on-site. This is a newer walking/running/biking trail that runs from Karst Farm Park (off of Airport Road) at the south to Vernal Pike at the north, where it ties in with the new Northwest YMCA (an additional phase has begun to continue north, but is not completed). The 3.8-mile surface is asphalt, there are several hills to make it challenging at times and several areas to stop and take a break with benches created out of local limestone. The signage at each rest area is helpful to get your bearings and there are also historical facts at about the area so you can learn and burn! Get ready for epic weekends of camping and boating on Monroe Lake. 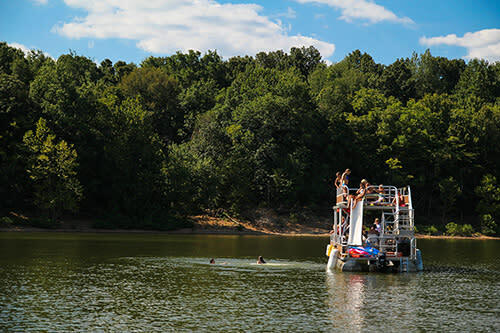 Cook out and chill at your campsite on a Friday night and then head to Lake Monroe Boat Rental (short drive from your campsite) with your crew for a day out on a pontoon party boat. After a long day of boating it was great not to have to drive far as we headed back to our campsite for one more night. We highly recommend reserving boats & campsites as far in advance as possible to get the best options. Our favorite campsites are a little farther away from everyone and are close to the edge of the water. 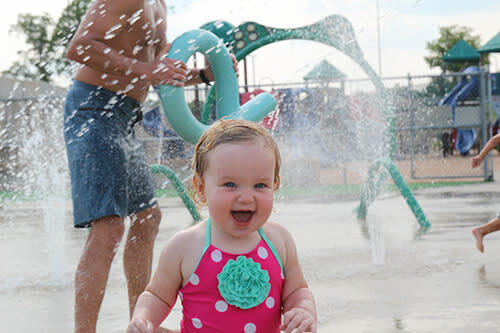 The splash pad here is so awesome for families, with fun water features to help you cool off and a huge playground, and it&apos;s free. Cascades Park is great too with a mega playground and some fun shaded trails that lead to a waterfall. With tons of trails cutting through the hills and ravines, Griffy is a great place to break a sweat and enjoy some pristine scenery without traveling far from downtown. If you want a less strenuous afternoon, rent a kayak or canoe for a few hours and just cruise. There are a ton of great trails, nature preserves, and swimming holes worth checking out. Have some fun in the sun (or shade) this summer!